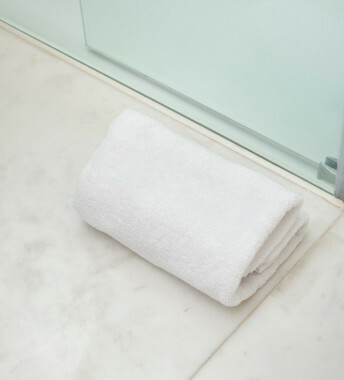 Not all towels are equal. Not even all cotton towels. 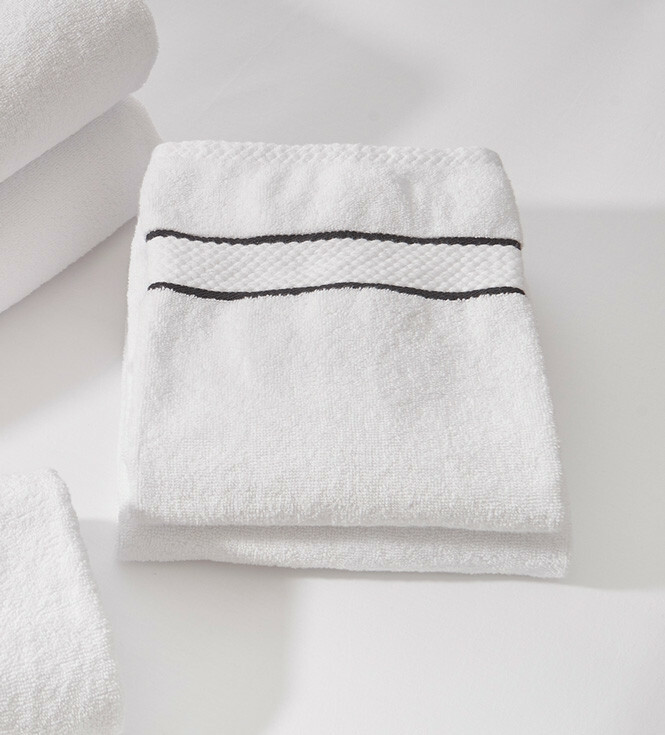 Their quality depends on the grade and finish of the fabric, which in turn determine its softness and absorbency. 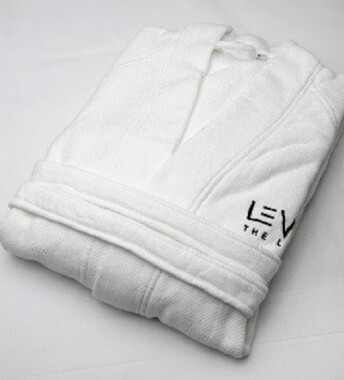 It is also important that the manufacturing process is sustainable. 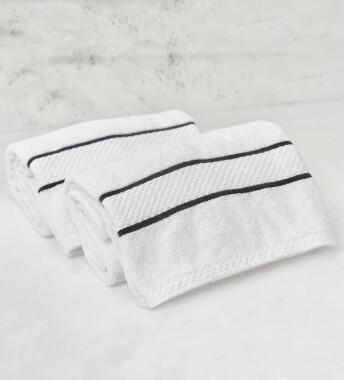 This stylish bidet towel is made in a luxurious, 480 gm, 100% organic cotton towelling fabric, in brilliant white with two elegant black stripes. It forms part of a complete set of bath towels in organic cotton with pieces available to purchase separately.